Judging from EUR/USD‘s 4-hour chart, it looks like the euro bulls are taking a breather. 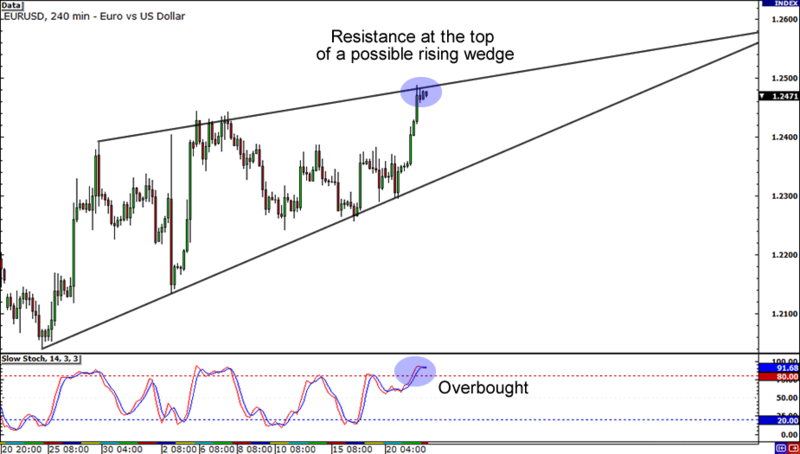 The pair is struggling to rise above the resistance area of a possible rising wedge, while the overbought Stochastic signal is also supporting the euro bears. Will the pair break above the 1.2500 handle, or will it retrace all the way to the 1.2350 area? Breakout alert! 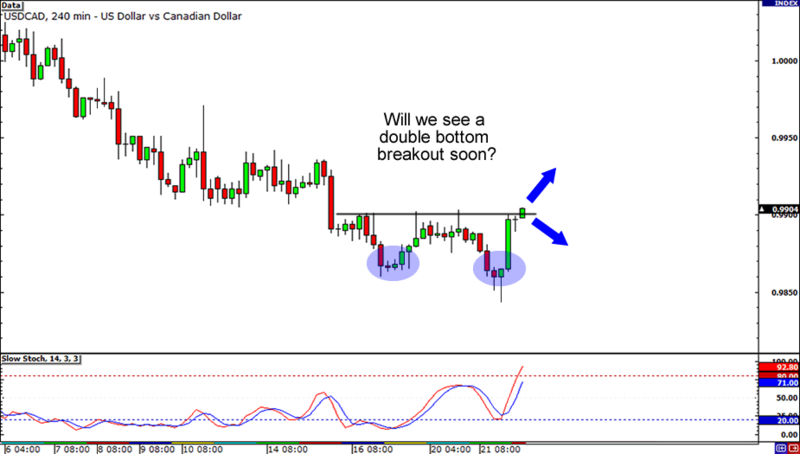 USD/CAD is testing the .9900 major psychological handle, which is also conveniently the neckline of what looks like a double bottom pattern on the 4-hour chart. You can aim for at least the .9950 area if you’re trading an upside breakout, but you can also wait for an overbought Stochastic signal if you think that the .9900 level will be too hot for the Loonie bears to handle. I don’t always put USD/JPY setups, but when I do, it’s as good as this one! I spy with my Ray-B-covered eyes a nice retracement for the scrilla! 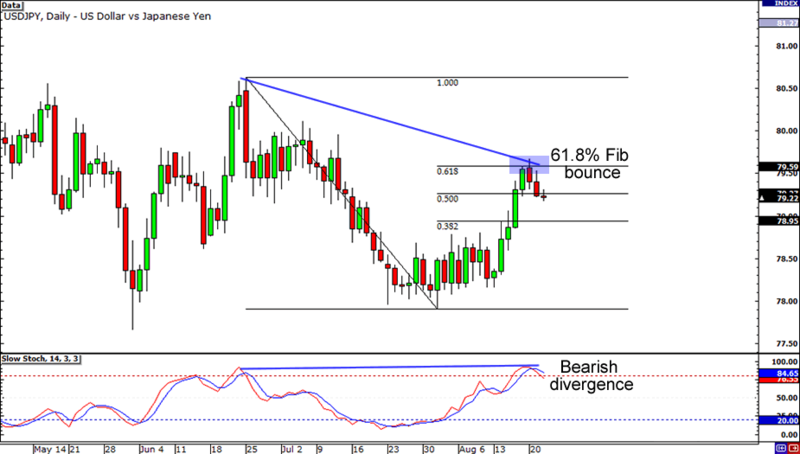 Aside from bouncing from the 61.8% Fib and the 79.50 minor psychological level, USD/JPY is also sporting a bearish divergence on its daily chart. Will it drop all the way to the 78.00 handle, or will it break the odds and test its former highs near 80.50?